Print Fulfillment Software refers to the process of warehousing online printing items by a method of receiving orders, gathering the items for order, packing, shipping, and confirming that the order is full. Print fulfillment software can help a business print large quantities of marketing materials, business cards, gift cards, and other unique printing problems that can’t be done in-house. Print fulfillment tools can act as a solution for all of a business’s needs, or only for large or unique projects. Companies can focus their efforts on more important aspects of their business and not worry about business printing. Some print fulfillment tool differences include type of printing projects, size of printing order, needs for photo manipulation tools to be built into the product, marketing features, and scalability. Related software includes our Procurement category. Print Fulfillment reviews by real, verified users. Find unbiased ratings on user satisfaction, features, and price based on the most reviews available anywhere. 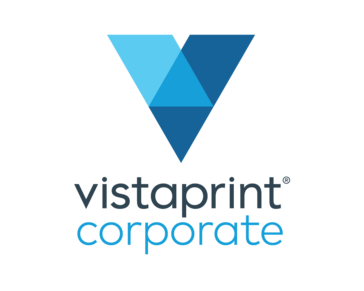 Vistaprint is focused on giving the 50 million micro businesses around the world a chance to make an impression and stand out with professional marketing products and services at an affordable price. MOO is an award-winning online print business that is passionate about great design and the difference it can make to its customers and the world. Launched in 2006, MOO aims to disrupt the $640 billion global print industry by combining the values of professional design with accessibility and reach of the web; making great design available to all. By applying Web 2.0 principles to a 500 year-old market, MOO has become one of the fastest growing print businesses in the world, with rapid annual growth and a global reach since launch. MOO prints millions of cards a month and has served customers in over 200 countries. MOO also supports companies of 10 or more employees with MOO for Business , offering a personalised service and easy order management for entire organisations. The company has won 3 Webby awards (the web's Oscars), has been profiled in the Financial Times, and was ranked in the top 10 UK start-up companies by the Guardian Newspaper. MOO currently employs 300+ full-time staff and has offices in London, UK, Boston MA and Providence, Rhode Island, USA. MOO has also raised over $5m in venture capital from the Accelerator Group, Index Ventures and Atlas Venture, the investors behind Skype, Betfair, Lovefilm, Last.fm and MySQL. 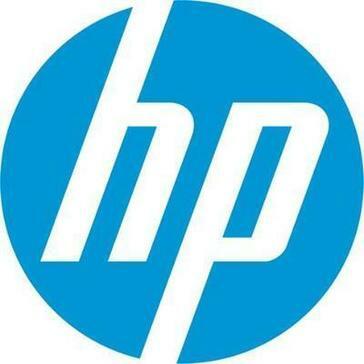 HP PrintOS is a print production operating system with web and mobile apps¹ that help you get more out of your HP Indigo digital presses and simplify your production. HP Indigo digital press owners can access the open, secure cloud-based PrintOS platform virtually anywhere, anytime to manage jobs from submission to shipment. The streamlined solution to ordering custom print for medium-to-large businesses is here. Partner with us to build your company's own ProShop. Save money and time representing your brand. A complete publishing platform. Authors, creative professionals, business people, photo book makers⎯no matter who you are, welcome. You’re here to create and publish a book and we’re here to help you do it. Ace Exhibits is a professional manufacturer and discount retailer of various products used for tradeshows. Ace Exhibits is located in Los Angeles, CA with a complete showroom and production facility. Mimeo provides the fastest, easiest, most reliable way to manage and distribute their content. Mimeo brings customers’ content to life through print and digital formats via its enterprise app suite and global print production facilities. Founded in 1999 as a startup, Mimeo has grown into a global organization, distributing content to customers in over 140 countries. UPrinting offers online printing of business cards, brochures, postcards, posters, flyers and note stickers. iprint offers a single, scalable solution for managing all of your printing across multiple office locations from any device. Micro Focus iPrint allows users to print to your current printers from their desktops, laptops, and mobile devices. Avanti Slingshot is a comprehensive solution for all aspects of running a printing facility, including scheduling, reporting, invoicing, estimating and CRM. Avanti Slingshot provides next generation Print MIS functionality with tight, effective integration with print production. We're instantprint. We're the only online printing company who really gets your business. That's because we're a friendly bunch of talented individuals who will go above and beyond to help you create awesome print. We understand you want to reach your customers in the best possible way. So from fast flyer printing to free business card designs, we're here to make your business flourish. Printed.com is a print fulfillment service offering catalogs, cards and other materials for businesses. PrinterOn provides secure mobile and remote enterprise printing solutions. We take quality seriously...from the first phone call to the premium paper to the well-protected packaging that arrives on your door. You can rest assured that when you work with PFL you are getting the best printing for your money. Access, personalize and deliver content locally, while providing flexibility, security and data for community users. Manage content with this industry leading security infrastructure. VeraCore enables fulfillment companies, commercial printers, 3PL's and e-tailers to manage their fulfillment operations with a flexible, cost effective solution that combines an order management system, a warehouse management system and a business management system in one comprehensive package. XMPie provides software solutions for variable data printing, integrated cross-media campaigns, web-to-print and marketing automation. Brush Your Ideas is comprehensive web to print software with full of powerful features to transform any online store into a creative studio. While making our magento product designer tool, we care about to compatible it for various industry business like t-shirts, invitation & greeting cards, coffee mugs, coasters and other gift items, laptop and mobile skins, posters, banners and many more. ePrint MIS module completely meets the demands of many small to medium print managers and print brokers, while others choose to add on additional modules to meet their own needs and those of specific customers. Trusted Print Delivery. Consolidates printing across multiple applications and networks to a single secure location while reducing costs. Formax specializes in Multi-Page Documents (like books, catalogs, manuals, directories), Full-Color Promotional printing and Laminated printing. Gooten is a fully automated on-demand print, pack, dropshipping platform and service for ecommerce brands and businesses. MT&L is a world leader in providing innovative products and services to the global card industry, transportation, retail and gaming markets. Preeon Web-to-Print Publisher is a solution that helps users to create and personalize print collaterals such as business cards, advertisements, brochures, and even entire newspapers from anywhere around the world. PressWise offers an all-in-one Web-to-Print, MIS and Print Workflow Automation platform and is browser-based, cloud or self-hosted, with NO long term contracts. PrintEco is a document management software that helps reduce printing costs automatically. It reformats documents, such as spreadsheets and web pages, to reduce the number of pages printed. Printers Plan is a print estimating software for estimating and business management, prepare estimates, enter orders, schedule, invoice, and collect receivables. PrintFASTQ is a print estimating software for commercial and packaging. PrintQuote Pro is a publishing and subscription software for small to medium size print companies. Stannp.com is a direct mail platform designed to enable users to send out real postal campaigns to reactivate their customers. Optimize your workflow with UniPrint Infinity v10 to experience fast and reliable printing across all types of computing platforms through a single PDF-based UPD and management platform. Whether deploying in the Cloud, VDI, server-based, mobile, serverless, or traditional environments, our single management platform offered by UniPrint Infinity is the solution for all of your enterprise’s printing challenges! wp2print is a full eCommerce solution for printing companies built with WordPress. Incorporating pricing calculators, design tools and payment processing functionality, wp2print enables customers to complete the entire print order process online, from price quotes through to uploading artwork files, creating new designs, and making payments. wp2print offers a single installation package whereby users simply setup their products and pricing options, then configure their payment gateway to be ready to take online orders. With wp2print, users can take print orders for products such as wide-format banners, saddle-stitched booklets, brochures, flyers, and bound books through their website. The pricing calculator automatically determines order price once customers select their requirements for product quantity, size, color, paper type, and folding. wp2print allows users to upload artwork files with drag-and-drop functionality, and then enter contact, billing and shipping details through the checkout form. Users can also add order notes to the checkout form. wp2print allows customers to pay securely online with their credit card through the payment gateway Stripe. Users can then check their order details and preview PDF versions of their artwork files, before wp2print emails customers with a receipt of their order details. wp2prints online document personalization tools enable customers to design their print order (business cards, flyers, and brochures) online using built-in templates and customized text and images. As a fully responsive solution, wp2print allows customers to make print orders conveniently from any desktop, laptop, tablet or mobile device. World-leading provider of fulfilment services and technology for multi-channel retailers looking to grow sustainably with reliable processes and expert support. B2C PrintShop is a software for web to print websites.